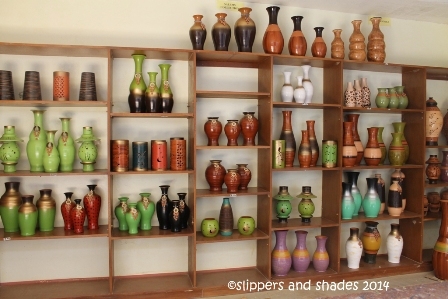 It was my fascination of collecting elegant vase and jar ceramics that brought us back in Tiwi, Albay. Part of our 2014 summer vacation in our hometown is to visit PHILCERAMICS (Philippine Ceramics Arts and Crafts Center) in Barangay Putsan and be amazed of their beautiful products. Memories of the past flashed remembering my childhood toys, the reddish little cooking clay pots and the chicken coin bank we bought a long time ago in Tiwi town proper after our beach escapade in Sogod Beach Resort. Those were the days of traditional pottery making in the municipality.